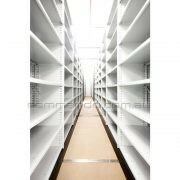 Commando Ezi-Glide® Maxx mobile shelving systems are designed for large capacity and heavier load storage requirements. 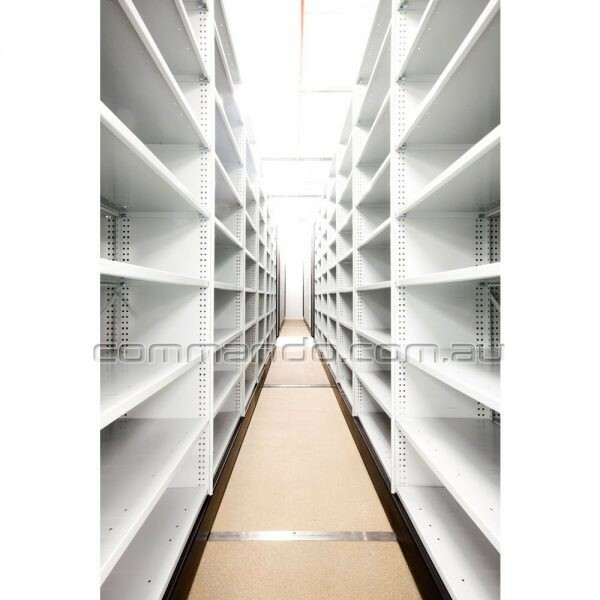 The high density mobile shelving systems provide maximum use of your usable storage area. Available in a large range of sizes and configurations the Ezi-Glide® Maxx can be tailor-made to suit your specific needs. Designed and manufactured in Australia the Ezi-Glide Maxx incorporates large diameter heavy duty wheels into fully welded steel mobiles for effortless movement and operation. Available in hand operated or mechanically assisted configurations, the system is also complimented by a large range of accessories to suit your requirements. 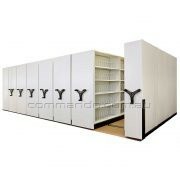 Other non-standard sizes and colours can be manufactured on request. *UDL = Uniformly Distributed Load. 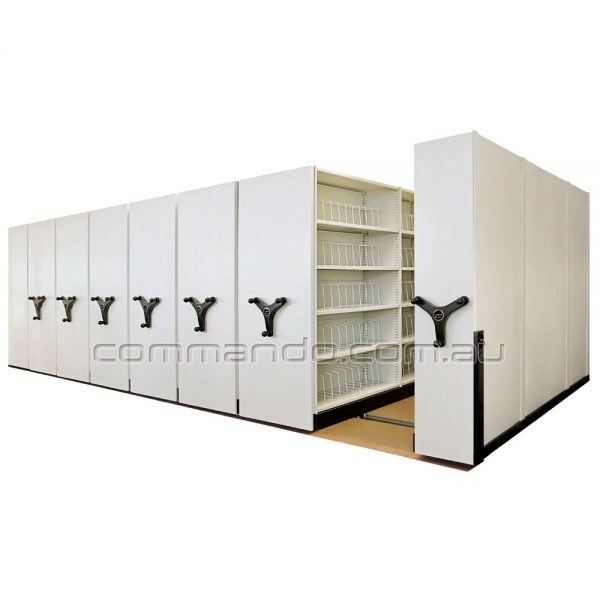 Shelf and bay load capacities vary. 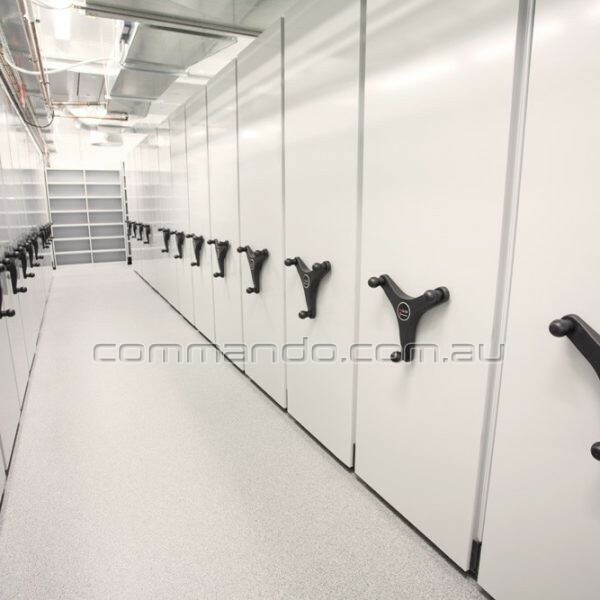 Please contact a Commando consultant for information based on your requirements.